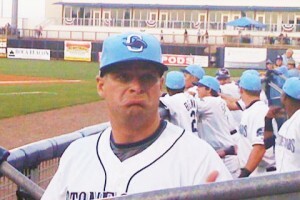 Steve spent two seasons with the Charlotte Stone Crabs as well as several with the Rays here in Spring Training. Now with the Oakland Athletics, Steve is an excellent catcher, enthusiastic ball player and a true gentleman. If more athletes in all sports were more like Steve Vogt, the reputations of all athletes would improve. I’m honored to have known Steve and to be considered a friend.